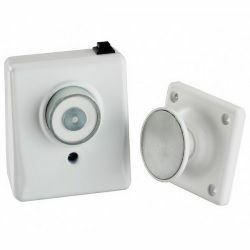 The Safety Centre is pleased to introduce the range of Geofire Doormouse Door Holders to our webshop. These are ideal for use on fire doors within buildings and can be configured to release the doors when the fire alarm system has been activated. For more information on the Geofire Doormouse Door Holders range call us NOW on 01200 428 410 or use the Livechat facility below. Each door holder has an integral manual release button which allows an operative to release the door from the hold open position. They are also supplied with an adjustable keeper plate for easy installation. If you’re interested in these products you may also be interested in our 24V Door Holder and Briton 996 ranges.